eBay Inc’s President and CEO John Donahoe predicted on Thursday that his company would enable $300 billion in global commerce by 2015. Technology is creating a new web-enabled retail interface, a new seamless, multiscreen commerce experience that connects consumers anytime, anywhere. This will expand shopping beyond conventional store environments and e-commerce sites. How we shop is being transformed, and eBay Inc. intends to be a leader in this new commerce world. eBay predicts that besides enabling $300 billion in global commerce, its revenues will grow to at least $21.5 billion in 2015, up from $14.1 billion that it realized in 2012. It believes that this increase will be a result of the company’s continued innovation in its core business and adoption of mobile commerce. At the 2012 Consumer Electronics Show in Las Vegas, Donahoe said that he anticipated eBay would surpass $8 billion in mobile sales in 2012, while PayPal would have a global mobile total payment volume of $7 billion. By comparison, in 2011, the company had $5 billion in their gross merchandise volume, which was double the amount in 2010. Mobile plays a significant role in how eBay Inc. is enabling commerce and using technology to connect consumers and provide new ways for them to shop when, where and how they want. The success of eBay and PayPal mobile in 2011 surpassed our expectations and we’re confident that this success will carry into 2012 as more shoppers turn to the convenience of shopping and paying via mobile at the moment shopping inspiration hits. Last Thanksgiving, eBay, along with PayPal, and GSI Commerce released mobile payments results for the holiday — all companies saw increases in usage. Specifically, eBay saw a 173 percent increase, while PayPal had 170 percent improvement and GSI took 133 percent more. An expanded market: eBay says that because it’s more of a global commerce company, it will be able to take advantage of more growth opportunities across the estimated $10 trillion commerce market. Mobile commerce leadership and innovation: Because its mobile capabilities span across all operating systems and devices, eBay thinks it has a distinct advantage over its competitors. This year alone, it predicts that $20 billion will be generated from mobile commerce and payment volume. 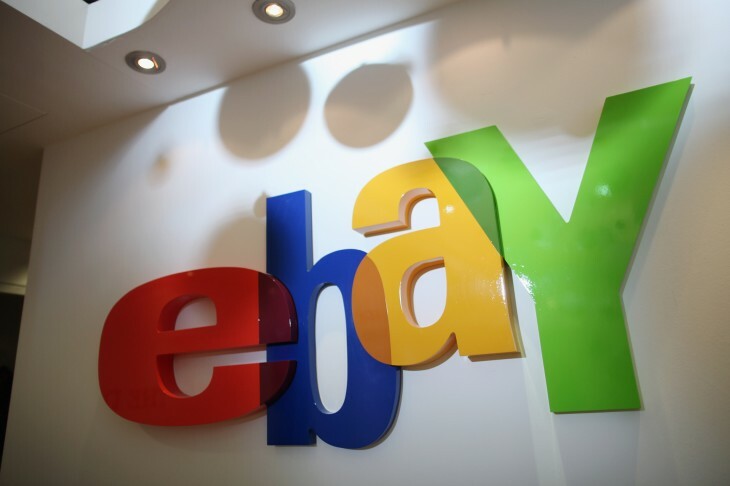 A strong portfolio of technology assets and capabilities: The company’s core businesses give eBay a strong position in this “commerce revolution”. In its Q4 2012 earnings, eBay said that the “Web-enabled multichannel commerce is evolving quickly, and consumer shopping behavior is changing rapidly.” It’s focus seeks to continue to be the multichannel partner for buyers and sellers. It’s hard to believe that eBay is going to do poorly in this regard — the evidence seems to suggest that the company is already performing well on the mobile front. We’ll just have to wait and see if Donahoe’s prediction comes true. But while eBay is looking forward to a good year in terms of mobile, it also faces competition from services like Amazon and Facebook which have launched their own marketplaces. Facebook is also seeing more usage on mobile devices than on desktop. Soon it’s not too difficult to see others rise up to potentially challenge eBay, such as Pinterest, Copious, Lollipuff, or Sneekpeeq.